Vapple's 1 lb. 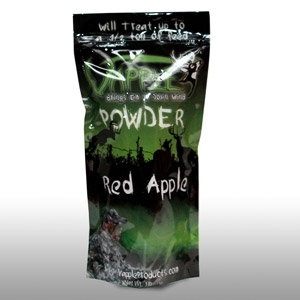 powder formulation is designed to mix with your choice of feeding. The 1 lb. bag will treat up to a half ton of feed, as the flavors are very concentrated. We induce our powder formulation with our liquid formula to create the same identical smell.